. The pioneering work carried out there didn’t just crack codes—it laid the foundations for the computer age. Today, we’d like to pay homage to a lesser-known contributor—Tommy Flowers. Bletchley Park’s breakthroughs were the product of theoretical mathematical brilliance combined with dazzling feats of engineering—none more so than Flowers’ creation of Colossus, the world’s first programmable, electronic computer. 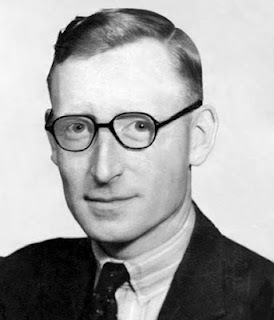 By 1942 the hardest task facing Bletchley Park’s wartime codebreakers was deciphering messages encrypted by Lorenz, used by Germany for their most top-secret communications. Initially Lorenz messages were broken by hand, using ingenious but time-consuming techniques. To speed things up, it was decided to build a machine to automate parts of the decoding process. This part-mechanical, part-electronic device was called Heath Robinson, but although it helped, it was unreliable and still too slow. Tommy Flowers was an expert in the use of relays and thermionic valves for switching, thanks to his research developing telephone systems. Initially, he was summoned to Bletchley Park to help improve Heath Robinson, but his concerns with its design were so great he came up with an entirely new solution—an electronic machine, later christened Colossus. When Flowers proposed the idea for Colossus in February 1943, Bletchley Park management feared that, with around 1,600 thermionic valves, it would be unreliable. Drawing on his pre-war research, Flowers was eventually able to persuade them otherwise, with proof that valves were reliable provided the machine they were used in was never turned off. Despite this, however, Bletchley Park’s experts were still skeptical that a new machine could be ready quickly enough and declined to pursue it further. Fortunately Flowers was undeterred, and convinced the U.K.’s Post Office research centre at Dollis Hill in London to approve the project instead. Working around the clock, and partially funding it out of his own pocket, Flowers and his team completed a prototype Colossus in just 10 months. 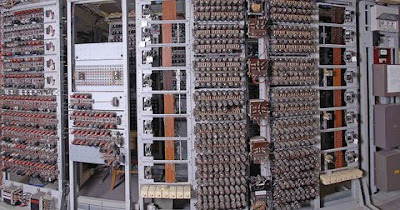 Photo of the rebuilt Colossus which you can visit at The National Museum of Computing in the U.K.
Reproduced with kind permission of The National Museum of Computing. The first Colossus came into operation at Bletchley Park in January 1944. It exceeded all expectations and was able to derive many of the Lorenz settings for each message within a few hours, compared to weeks previously. This was followed in June 1944 by a 2,400-valve Mark 2 version which was even more powerful, and which provided vital information to aid the D-Day landings. By the end of the war there were 10 Colossus computers at Bletchley Park working 24/7. Once war was over, all mention of Colossus was forbidden by the Official Secrets Act. Eight of the machines were dismantled, while the remaining two were sent to London where they purportedly were used for intelligence purposes until 1960. It wasn’t until the 1970’s that Colossus could begin to claim its rightful crown at the forefront of computing history. Tommy Flowers passed away in 1998, but we were privileged recently to catch up with some on his team who helped build and maintain Colossus. This week heralds the opening of a new gallery dedicated to Colossus at the U.K.’s National Museum of Computing, based at Bletchley Park. The rebuilt Colossus is on show, and over the coming weeks it will be joined by interactive exhibits and displays. Bletchley Park is less than an hour from Central London, and makes a fitting pilgrimage for anyone interested in computing. It’s no secret we have a special fondness for Bletchley Park. The pioneering work carried out there didn’t just crack codes—it laid the foundations for the computer age.